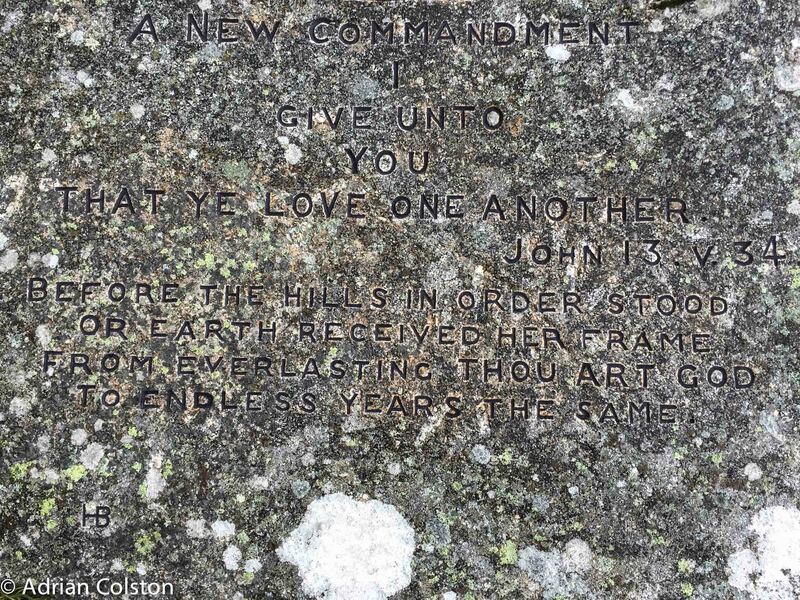 I went to Buckland Beacon over the weekend to see the newly restored Ten Commandment Stones. 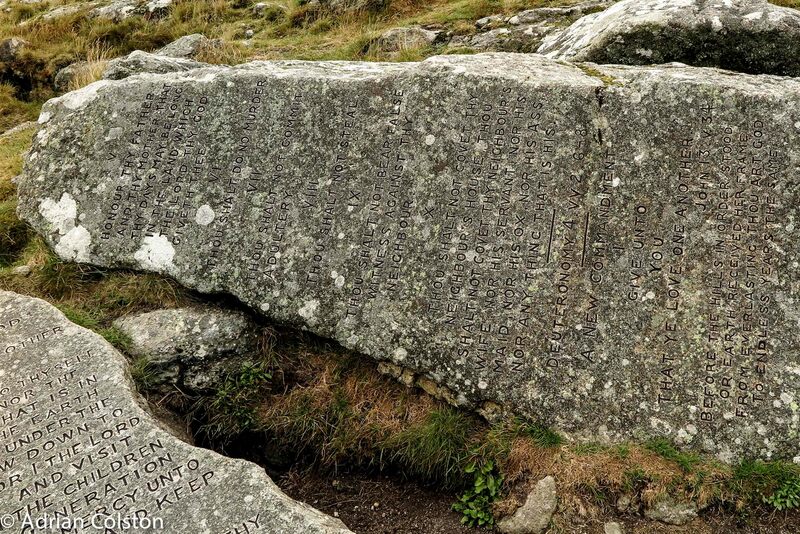 I last went there in 2014 and commented then that the writing was becoming illegible (see here) and I am pleased to say that the Moor than Meets the Eye Project funded by the Heritage Lottery Fund and managed by Dartmoor National Park Authority have restored the lettering. Bracken (Pteridium aquilinum) is a contentious species which is almost universally hated on Dartmoor (except in the handful of places where it harbours the nationally threatened butterfly, the High Brown Fritillary (Argynnis adippe). Bracken was once harvested as an important crop and used for animal bedding and as a roofing material. 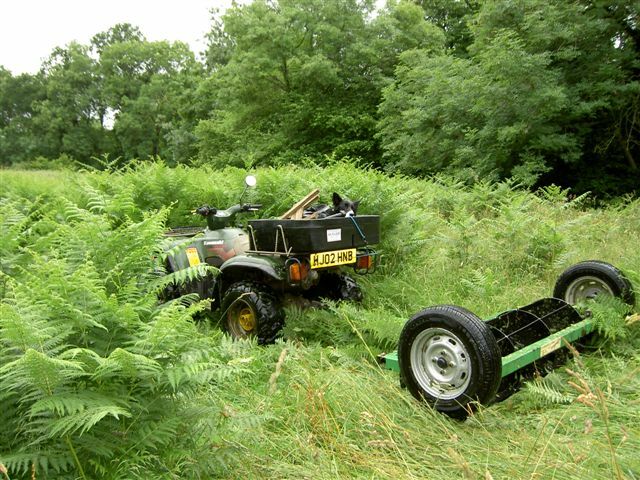 These practices dropped out of favour as other more modern materials were used instead and as a result bracken was no longer managed and began to spread. This spread of bracken can be damaging to the historic environment as its dense network of rhizomes can seriously interfere with any sub-surface archaeology. It is also a species which is very unpopular with hill-farmers as it spread reduces the area of palatable grazing for livestock. Likewise conservationists do not like the species as its spread can reduce areas of inherently interesting vegetation communities e.g. heather stands (Marrs and Watts 2006). Bracken tends to grow on deep well drained soils which do not become waterlogged. As a result it is absent on Dartmoor from the blanket bog and wet heathland communities as these are too wet. These deeper better drained soils on the moor support heathland (NVC H8 Calluna vulgaris-Ulex gallii heath) and upland grassland communities (NVC U4 Festuca ovina-Agrostis capillaris-Galium saxatile grassland and U5 Nardus stricta-Galium saxatile grassland). Bracken can encroach into wet heath communities (M15b Trichophorum cespitosus, Erica tetralix wet heath and M15d Trichophorum cespitosus, Erica tetralix wet heath, Vaccinium myrtillus sub-community if these have become drier as a result of hydrological changes, over grazing or burning (Marrs and Watts 2006). These National Vegetation Classification (NVC) communities can change depending on the management regime they receive. Averis et al (2004) suggest the following changes to National Vegetation Classification communities which can all lead to an increase in bracken communities. The communities described below follow the NVC (Rodwell 1991 & 1992). Bracken can be controlled either by cutting, rolling or the use of herbicides (asulam). However treatments must be repeated yearly if bracken is to be controlled, complete eradication is usually not possible. All these methods are time consuming and expensive. Rolling is often not possible due to the terrain or rocks and asulam can now only be used under an Emergency Authorisation licence as its use was outlawed in 2012 , there are also concerns that stocks of asulam are not in short supply as it is no longer being manufactured. Pakeman et al (1995) showed that bracken had increased significantly over the past few centuries in Britain but they also showed that between 1970 to 1980 there had been a 3.4% decrease on Dartmoor (by 1.9km2 of bracken being gained but 3.8km2 being lost). Pakeman et al. (2000) ‘concluded that the current abundance of Pteridium was less than, or at worst, equivalent to maximum historical records’. It is clear therefore that the abundance of bracken has fallen and risen depending on its harvesting or clearance by humans. Werkman et al (1996) carried out experiments where bracken and heather and a mix of the two were grown in open topped tents to mimic climate warming and where different plots were treated with additional nitrogen inputs. They found bracken growing in the tents with additional nitrogen grew more vigorously and for a longer growing season than plants not grown in tents where no nitrogen was added. The bracken under the former conditions also encroached into the heather stands. Werkman et al (2002) in another experiment found that bracken responded positively to increased temperatures but did not respond to increased nitrogen levels. They concluded that in a warmer climate bracken will continue to replace heather. They added a caveat that if climate change led to drier summers then water could be a limiting factor in the spread of bracken. The implication of both papers by Werkman et al (1996, 2002) is that bracken will also spread into areas of upland grassland as well as areas dominated by heather. Hill-farmers and other land managers on Dartmoor such as the National Trust spend considerable time and money attempting to control bracken on the moor, it would appear that in the future more effort will be required if bracken is not to spread further. So rather like Purple Moor Grass Molinia caerulea, bracken does respond to anthropogenic changes to the atmosphere. In the case of bracken to increased temperatures caused by rising CO2 levels and in the case of Molinia to increased nitrogen levels caused by pollution from vehicles and agriculture (see here). If a future climate change scenario on Dartmoor led to rising temperatures and reduced rainfall it is not impossible that the current areas of wet heath and those areas dominated by Molinia could become dry enough to allow the encroachment of bracken into these areas too. Pakeman, R.J., Le Duc, M.G. & Marrs, R.H. (2000) Bracken distribution in Great Britain: strategies for its control and the sustainable management of land. Annals of Botany, 85B, 37–46. Pakeman, R.J., Marrs, R.H., Howard, D.C., Barr, C.J. & Fuller, R.M. (1995) The bracken problem in Great Britain; its present extent and future changes. Applied Geography, 16, 65–86. Rodwell J.S. (ed) (1991) British Plant Communities. Volume 2. Mires and heaths. Cambridge University Press. Cambridge. Rodwell J.S. (ed) (1992) British Plant Communities. Volume 3. Grasslands and montane communities. Cambridge University Press. Cambridge. Werkman B.R. & Callaghan T.V. (2002) Responses of bracken and heather to increased temperature and nitrogen addition, alone and in competition. Basic and Applied Ecology 3: 267-276. Werkman B.R., Callaghan T.V. & Welker J.M. 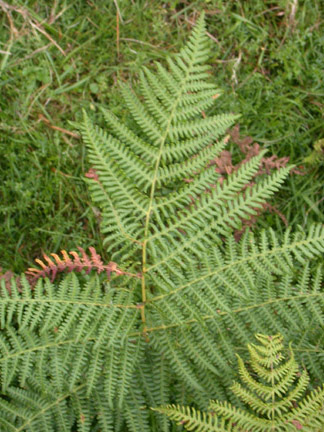 (1996) Responses of bracken to increased temperature and nitrogen availability. Global Change Biology 2: 59-66. Ian Mercer, the champion of Dartmoor for so many years has died. 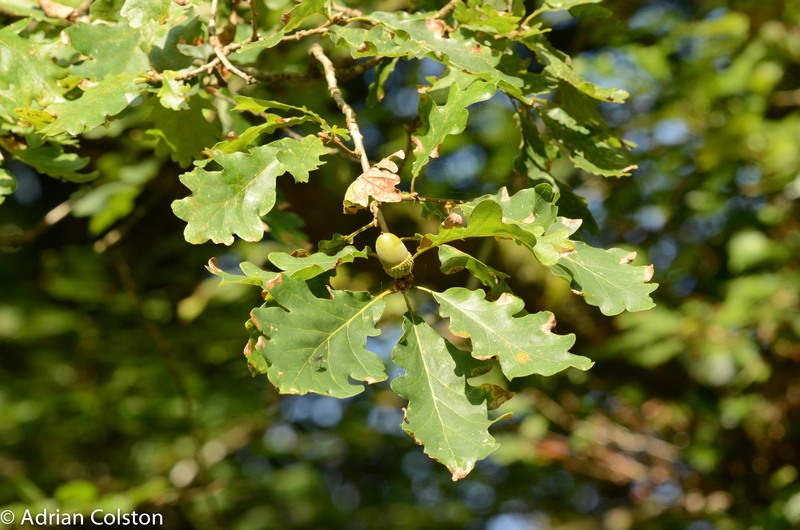 I first met Ian back in 1982 when I was on a Community Programme Scheme with the Devon Trust for Nature Conservation. He was a kind man but a formidable figure. 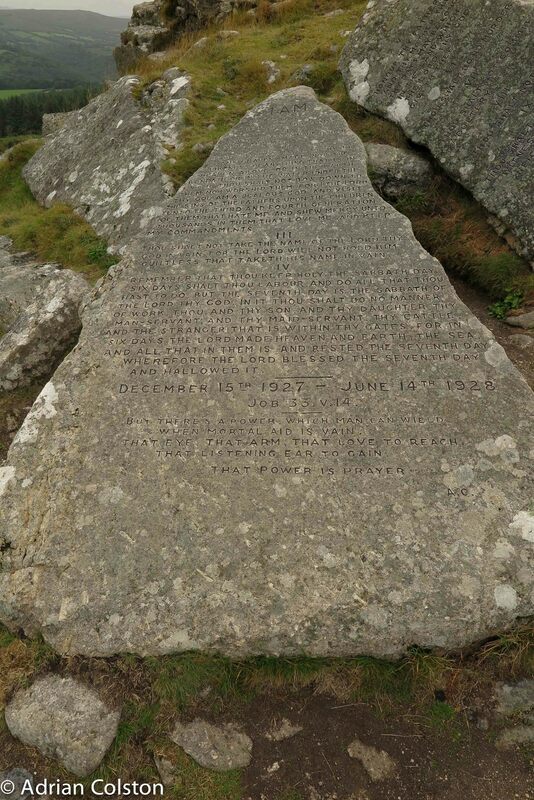 I learnt of his death as Kate Ashbrook, General Secretary of the Open Spaces Society kindly informed me and asked me for my views of Ian’s contribution to Dartmoor as she wanted to write an obituary of him. 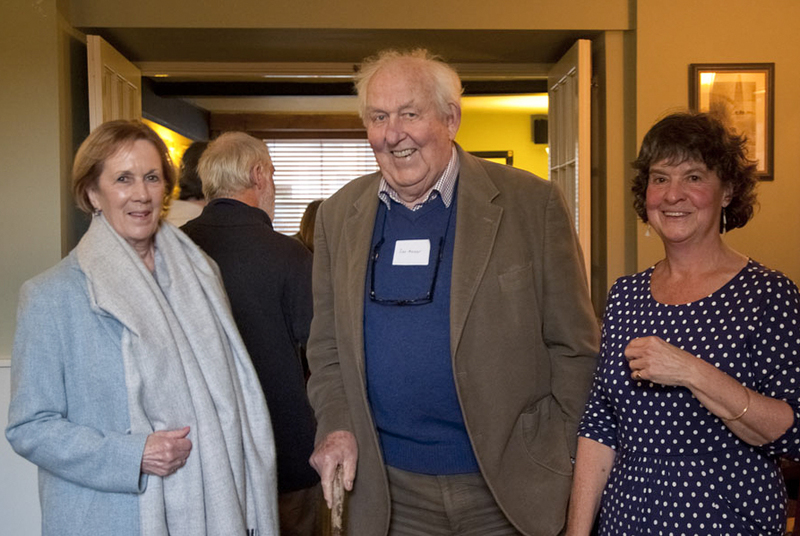 I last met Ian at the 30th Anniversary of the Dartmoor Magazine in Autumn 2015 (photo courtesy of Julia Wherrell) – that cheeky smile was his trademark. On the left of Ian is his wife Pamela and to the right is Sue Vicars, Editor of the Dartmoor Magazine. 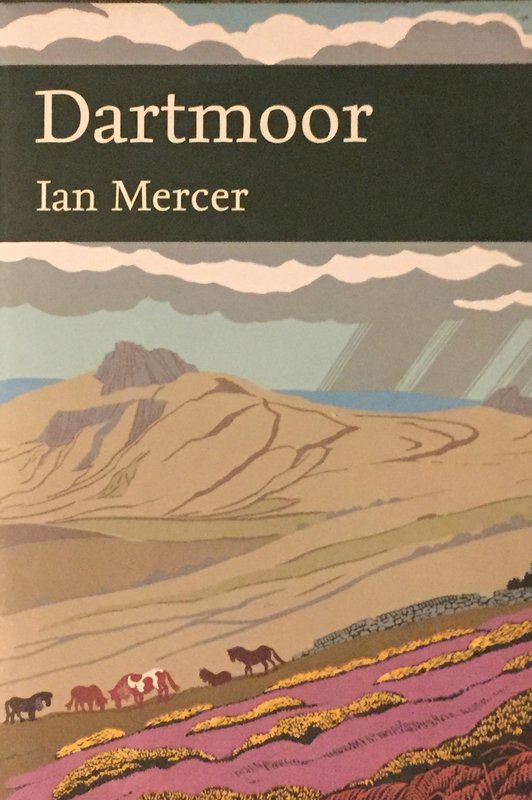 I think it is fair to say that in my opinion Ian has been the most influential figure over the past 50 years in conserving the natural and cultural environments on Dartmoor. 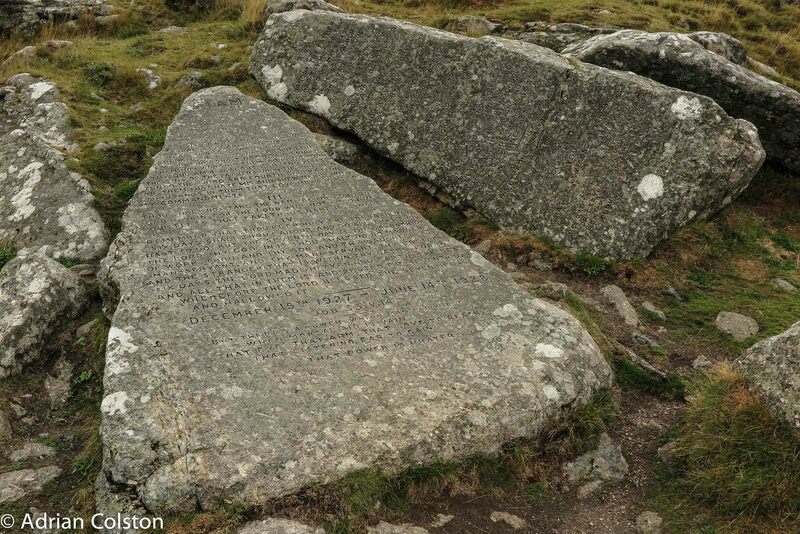 Without his tireless work throughout the 1970s and 1980s which finally led to the Dartmoor Commons Act the moor would be a very different place today. I think he basically saved Dartmoor from the fate which parts of Exmoor succumbed to (as described by the MacEwens in National Parks:conservation or cosmetics). His approach was to ensure that all the main protagonists: conservationists, landscape campaigners, access bodies and commoners all remained in the same tent. 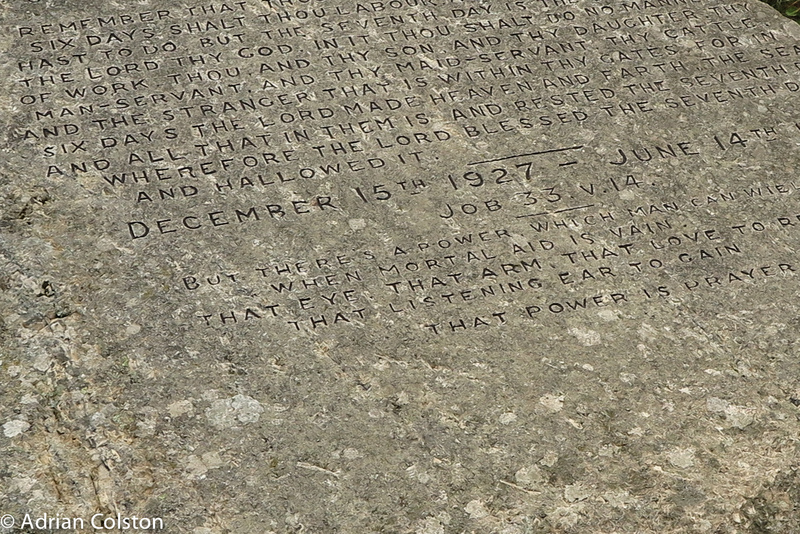 He knew that in order to conserve Dartmoor and its cultural heritage no one group could achieve all it wanted to and therefore compromise was necessary. He spent much of his life at the centre of that negotiation keeping the parties talking and through his immense presence chiding the unwilling when appropriate, a phenomenon I experienced on several occasions whilst working for the National Trust. He told me to talk to ‘my’ Commoners, now I have embarked on my PhD about the Dartmoor Commons I perhaps will be able to heed his advice more closely. Some said that later in his life he became too close to the farming community, but his view was that in order to conserve the wildlife and historic landscapes of Dartmoor whilst still providing access for all, the Dartmoor Commoners also needed to be conserved. He became their champion to ensure the necessary compromises could be negotiated – he was of course entirely correct. Ian Mercer will be missed by both the Conservationists and the Commoners. My condolences go to Pamela and her family. I can recommend Kate Ashbrook’s obituary in the Western Morning News – see here, along with Matthew Kelly’s blog, author of Quartz and Feldspar, about Ian and his legacy – see here. If you haven’t got it I also also throughly recommend Ian’s magnum opus on Dartmoor – the Collins New Naturalist volume 111 simply entitled Dartmoor – see here. The Dartmoor Pony Heritage Trust celebrated their 10th anniversary as a charity on Saturday evening and I went to their party. 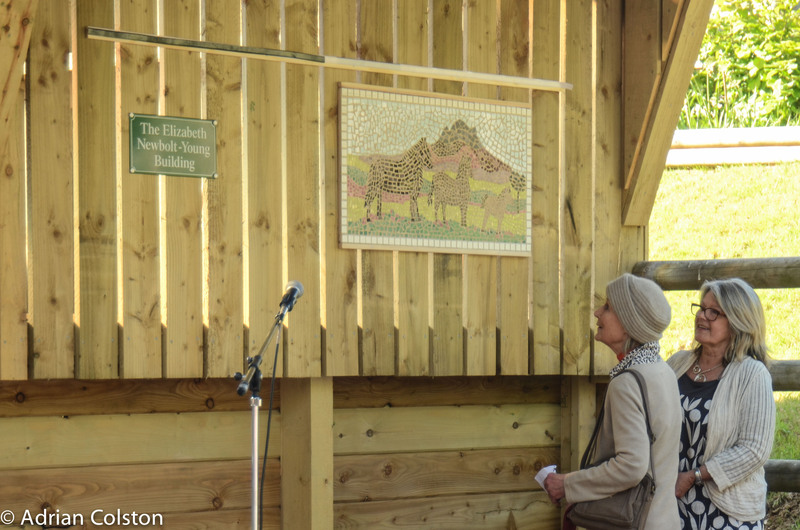 The main event was the naming of their new building after their founder Elizabeth Newbolt Young. 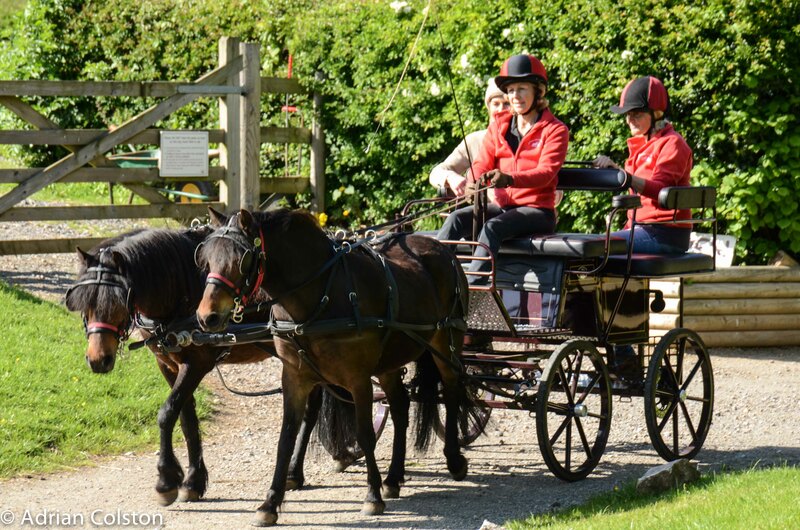 The DPHT are tenants of the National Trust at Parke and we helped to facilitate their move from Brimpts Farm. 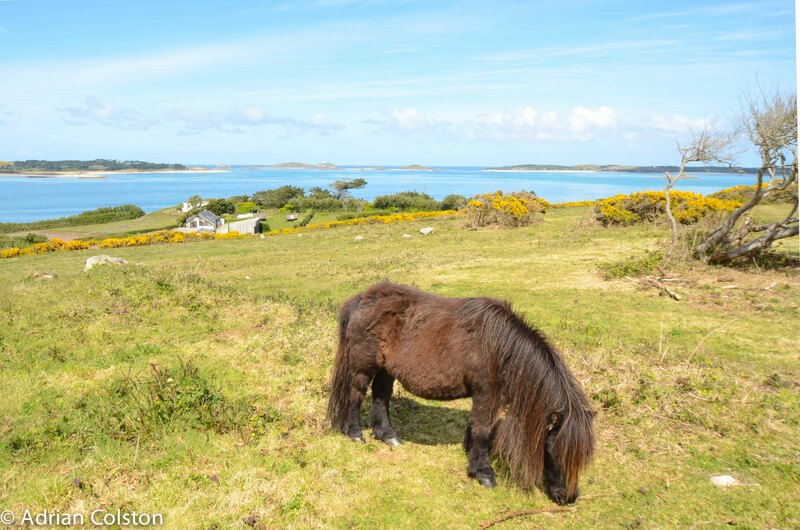 We are very supportive of them and the work they do in fighting for the Dartmoor pony and using them in numerous conservation grazing projects around the country. 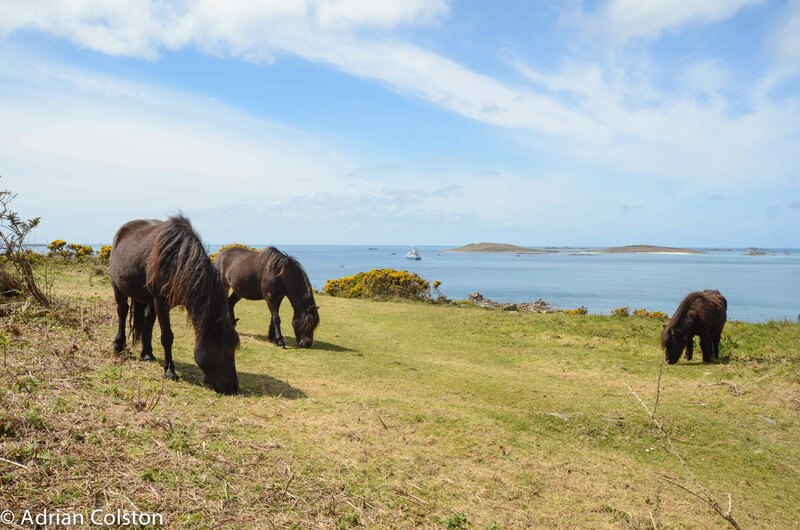 Here are some of their Dartmoor ponies on St Mary’s on the Isles of Scilly which I photographed a couple of weeks ago. I have written a number of blogs over the years on the conservation grazing efforts of the DHPT’s ponies – in Norfolk for the Norfolk Wildlife Trust, at Fernworthy for the SW Lakes Trust, in the Teign Valley for us, on Woodbury Common for the Clinton Estate Estate and finally for us here at Parke. The Dartmoor pony faces an uncertain future here on Dartmoor – it is an iconic symbol of the National Park and with the DHPT as one its champions I am hopeful for the future. Happy birthday DHPT and here’s to the next 10 years. We held our Start of Season meeting yesterday in the main meeting room here at Parke. 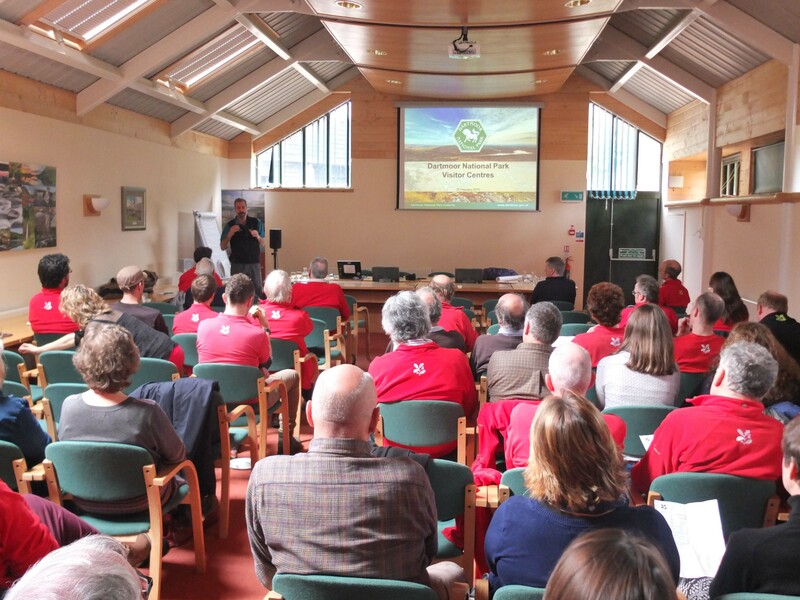 The idea is to get our staff and volunteers across the Dartmoor portfolio together to review our achievements in 2014 and look forward to our plans for 2015. 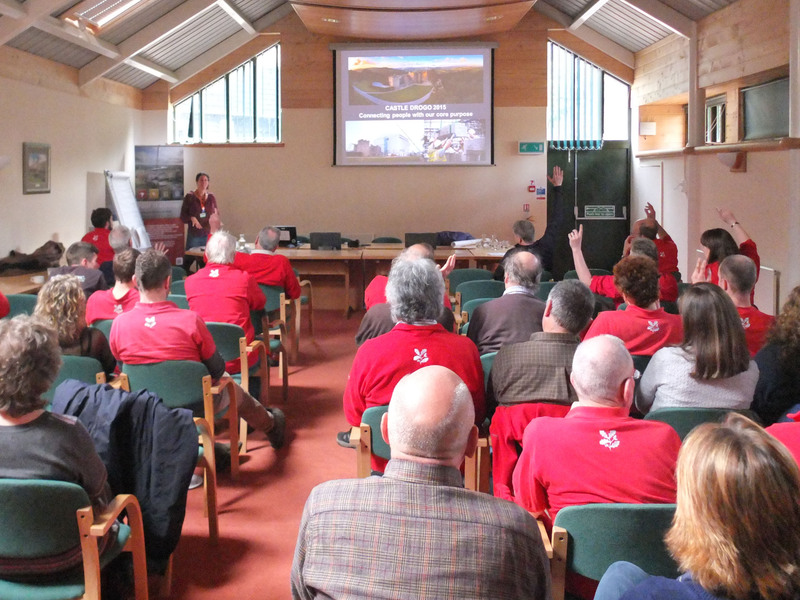 In the morning we had presentations from our Assistant Director of Operations Toby Fox, myself, various members of the Ranger teams, from Finch Foundry, Sexton’s Cottage and from Catherine Parsons, our Vistor Services and Commercial Manager. 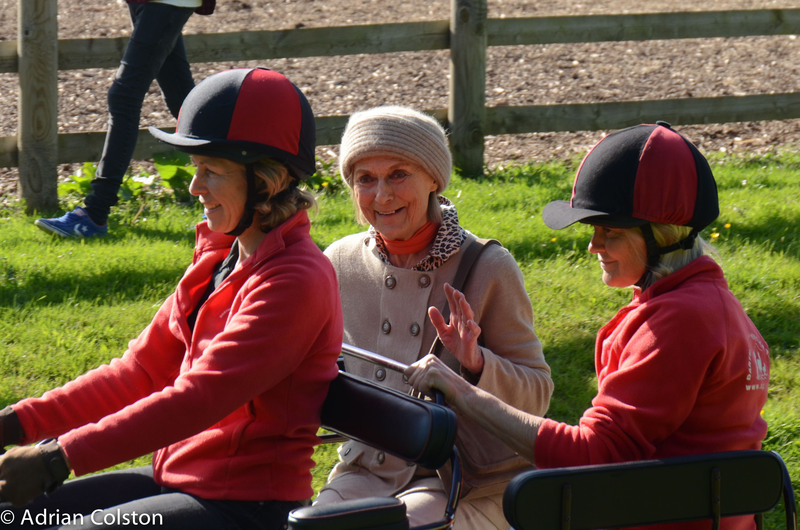 I thought there was a real buzz – we are doing so many different things across Dartmoor and people seem to be really enjoying themselves. In the afternoon we had three presentations from some of our partners on the Moor – this is Richard Drysdale, The Visitor Centre Manager with the Dartmoor National Park Authority telling us about their three visitor centres at Princetown, Postbridge and Haytor – all well worth a visit. 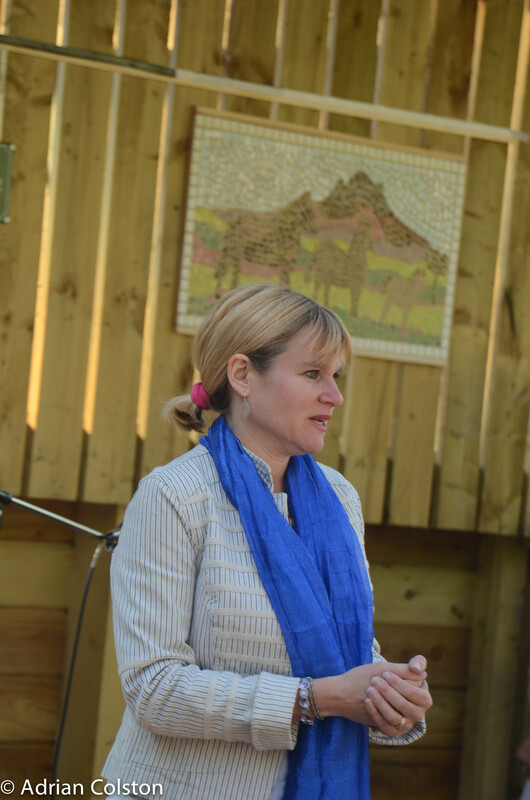 And this is Heather Kay, the General Manager at Castle Drogo giving us an update on the building project at the Castle and giving us a sneek preview of the new installations at the property which will be open to the public from the 9th March. 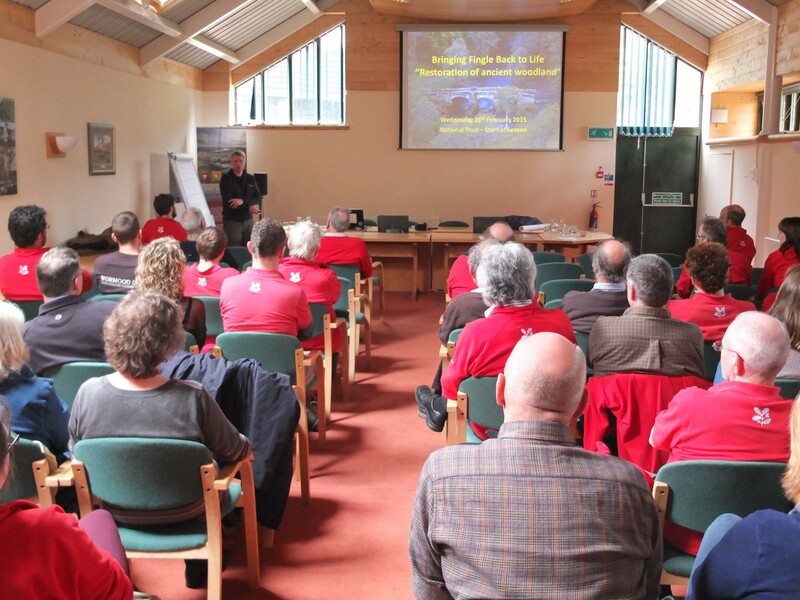 Good to see all our Rangers in red fleeces too! Himalayan balsam – time to knock off the policeman’s helmet? 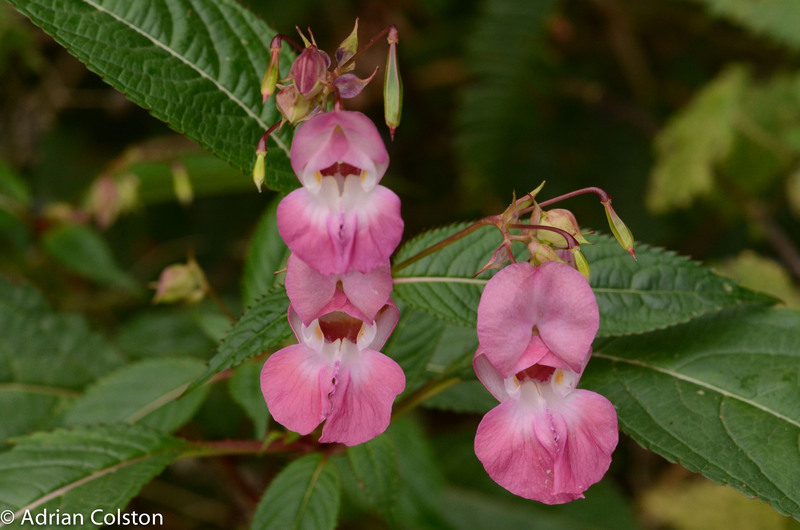 Many of our riverbanks on Dartmoor are lined with a pink flowering plant – the Himalyan balsam. 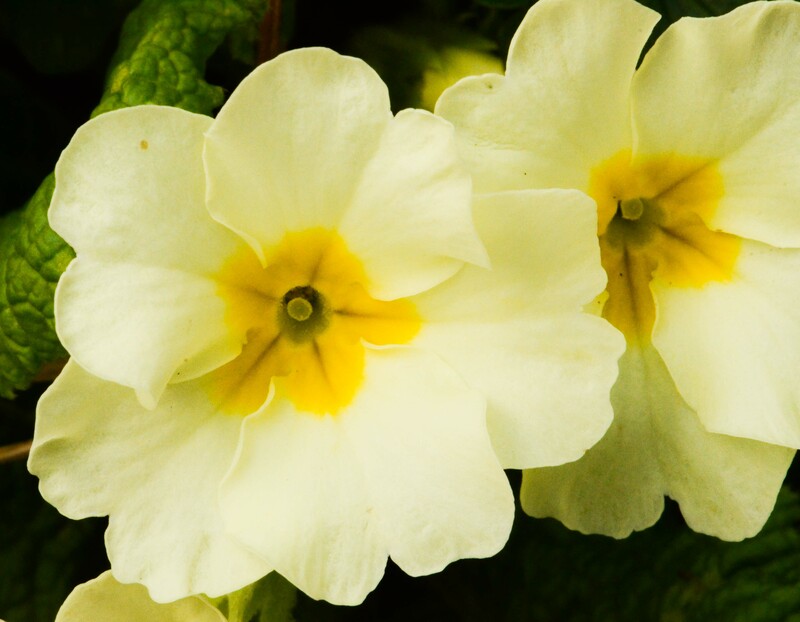 The flowers give off a very strong scent and are very attractive to bees. There are however some problems …… Himalayan balsam was introduced in 1839 to the UK and it has subsequently escaped from formal gardens into the countryside. It often forms dense stands along rivers and in wet meadows and does a pretty good job at smothering out the native plants beneath. Just take a walk at Parke along the River Bovey and you will see how much Himalayan balsam there is. It is one of our jobs over the coming years to reduce the amount of balsam in the wet meadows. Himalayan balsam or policeman’s helmet! The Centre for Ecology and Hydrology have produced a fact sheet on the species and a list of ways you can go about getting rid of it – see here.